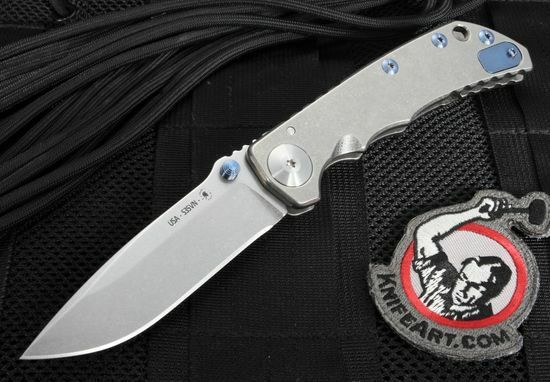 Originality, high quality, and high functionality are what you can expect from all of award-winning knifemaker Bill Harsey's designs, so there's nothing out of the ordinary with the new Spartan Harsey Folding Knife. Made by Spartan Blades right here in the US, this knife's beautiful and minimalist design, paired with its superb blade and titanium handle, is striking to say the least. A quality knife is a multipurpose tool. 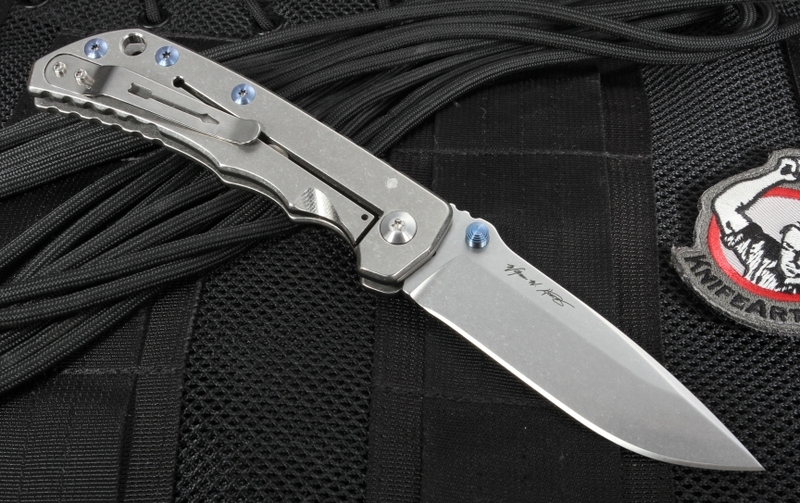 Whether you're a die-hard camper, fisherman, knife enthusiast, or just interested in a little extra protection, you won't find yourself disappointed with this 4.25" inch, large, stainless S35VN steel blade. 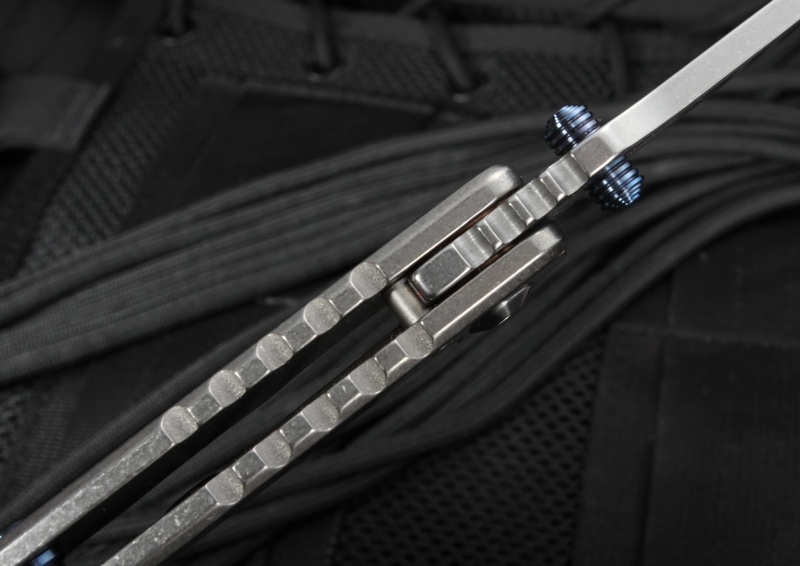 The high quality American-made particle steel is stonewashed to hide scratching, sharp as a razor, it comes equipped with dual blue anodized titanium thumb lugs for ambidextrous convenience and phosphor bronze bushing to ensure a smooth open and close. 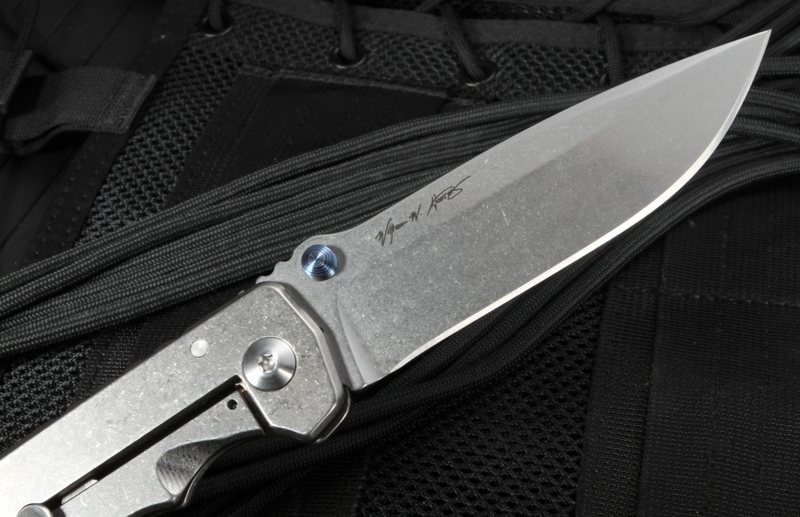 The Spartan Harsey Folder or SHF has a reliable framelock construction and the entire handle is made from thick slabs of stonewashed titanium. 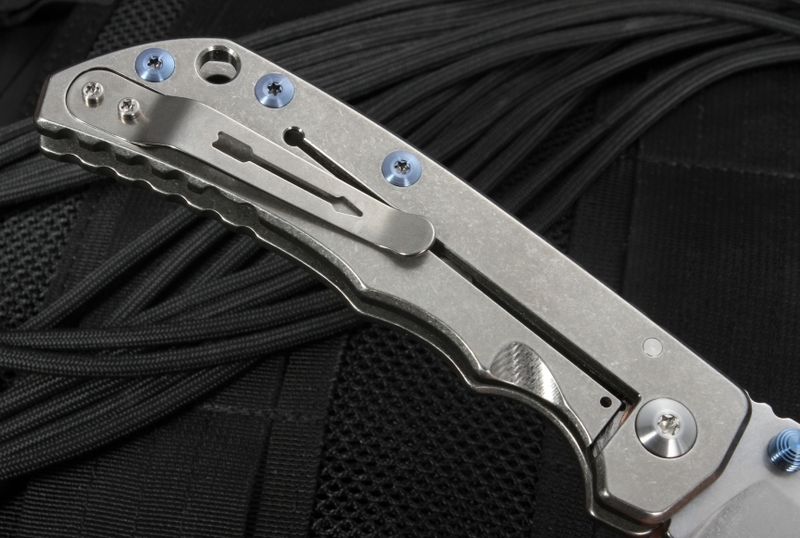 It even comes complete with a titanium pivot and titanium fittings. 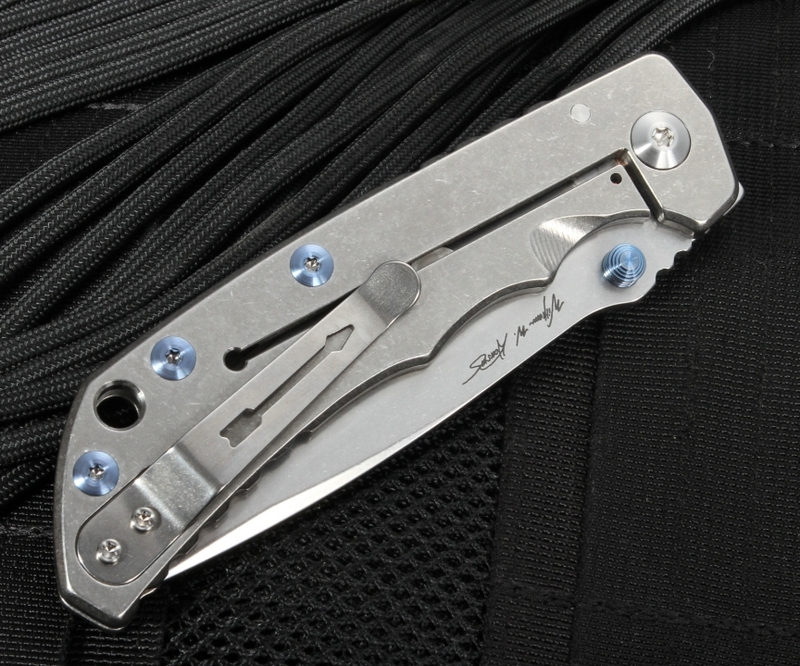 But the devil's in the details, and this thing has it all, including a reversible titanium pocket clip. 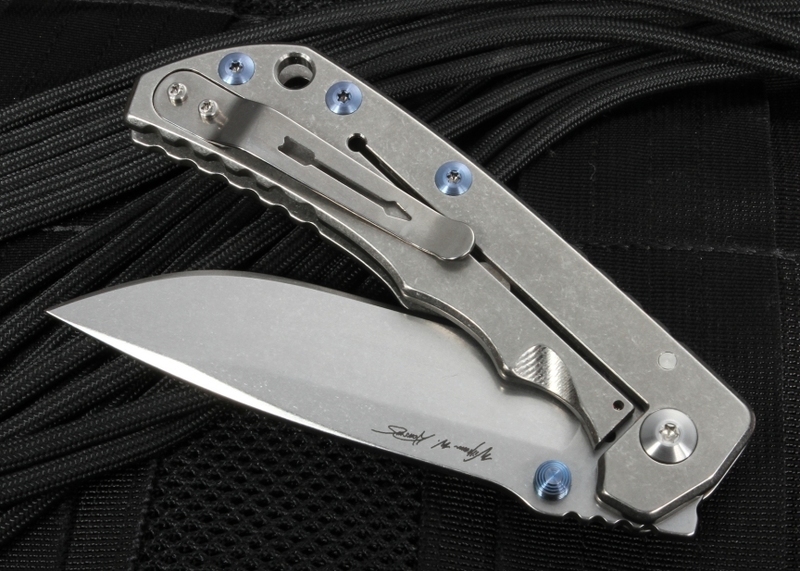 The lock bar on this framelocking folding knife has an internal lock bar stabilizer that prevents the lock from over-traveling it's normal range of movement. This makes it great for carrying around concealed and comfortably. The use of blue anodized titanium in the screws, standoffs, and thumb studs may add cost but creates a custom quality that can't be beat. It's the ideal tool for anyone wanting something to carry around day-to-day. KnifeArt has always been committed to providing top shelf products accompanied by consistent customer satisfaction. This knife not only has free shipping in the US, but same day shipping, as well. Returns on all products are easy, and as always, customer satisfaction is guaranteed.